Search by Announcement Name: "SFY 2020 Traditional VOCA Program" OR Funding Opportunity Number: "VOCA-2020-1000"
Below is the link to watch the previously recorded Technical Assistance on Application and Instructions Webinar from January 24, 2019. 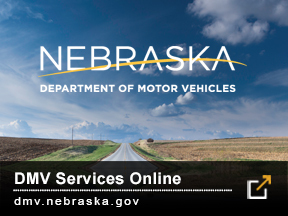 Viewing of the webinar is MANDATORY for organizations intending to apply for funding under the Nebraska Crime Commission VOCA Program. In accordance with Nebraska Revised Statute 43-2404.02(3)(e) view Section 011 of Title 75, Chapter 1 for the Community-based Juvenile Services Aid Appeals Process. The Nebraska Crime Commission invites public input on projects to become part of Nebraska's FY 2018 Justice Assistance Grant (JAG) award. The JAG formula grant is allocated to Nebraska for administration by the U.S. Department of Justice (USDOJ). JAG will provide grant resources to units of state and local government, nonprofit, and faith based organizations for criminal justice projects. To comment or view a copy of the proposed application, contact the Nebraska Crime Commission, JAG Administrator, Nebraska State Office Building 301 Centennial Mall South, Lincoln NE 68509 or call 402-471-2194. Pursuant to Neb. Rev. Stat. § 43-2404.02(3)(e) and pending adoption and promulgation of rules and regulations by the commission, the appeal process for a county, multiple counties, or a federally recognized or state-recognized Indian tribe that is denied aid under this section or receives no aid under this section, may request an appeal pursuant to Operating Instruction 10.